Latest figures show out-of-town take up of office space still dominates the regional market. In all, 29 deals totalling 179,722sqft have been completed in the third quarter of 2014, compared to 14 deals totalling 86,938sqft completing in Newcastle city centre says the Offices Group. The figure was boosted by the 77,632sqft letting to Utilitywise at Cobalt and 46,600sqft let to AMA Group at White House, Peterlee, both on confidential terms. The energy consultancy’s move to the North Tyneside business park was prompted by a new scaling of the business model, meaning its South Shields base would not be able to cope with such growth. After a long search chief executive Geoff Thompson signed a 15-year lease for the premises in what was believed to be the largest office leasing deal in the North East since 2009. Meanwhile, clothing manufacturers AMA Group have said they are already looking for a second factory to add to their Peterlee operation, with plans set to be finalised next year. City centre figures were boosted by Newcastle University’s freehold purchase of 34,134sqft at 89 Sandyford Road and Ernst &amp; Young taking 11,897 sq ft of Grade A space at Citygate, both on confidential terms. 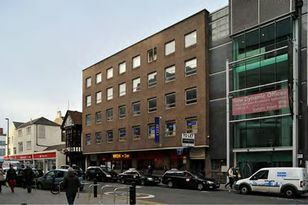 Chris Dent of DTZ said: “The main concern in the city centre is the dwindling supply of Grade A space. There is circa 100,000 sq ft of Grade A accommodation available within the city centre with Wellbar Central, Baltic Place and Central Square South forming the majority. Simon Taylor of Naylors Chartered Surveyors, said headline rents could go up. He said: “The limited supply of available Grade A stock combined with strengthening demand and positive take up levels may result in an increase in headline rents within Newcastle City centre. The Offices Group comprises BNP Paribas Real Estate, Bradley Hall, DTZ, Gavin Black &amp; Partners, GVA, Knight Frank, Lambert Smith Hampton, Naylors Chartered Surveyors, Sanderson Weatherall and ES-Group.